Fendi is an Italian luxury fashion house. It offers a wide array of apparel, from ready-to-wear to leather goods to shoes, and is growing more and more. The distinctive and exclusive style has made it a worldwide success and go-to brand for high quality fashion goods. With Big Apple Buddy’s personal shopping service, you can now buy direct from the Fendi online store anytime, anywhere. You can get the bag, straight off the runway, that has become one of the most popular options of the collection! 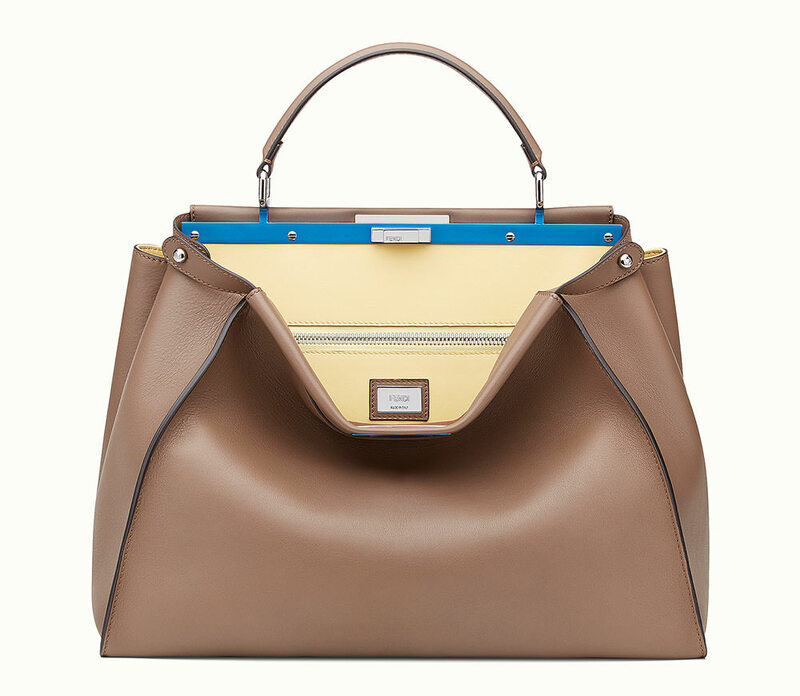 The Fendi Peekaboo Handbag is a stylish and practical bag that you'll want to take everywhere. Its intricate design makes it stand out from other models and adds a more modern and chic look. With two compartments and plenty of pockets, you won't need another bag ever again! 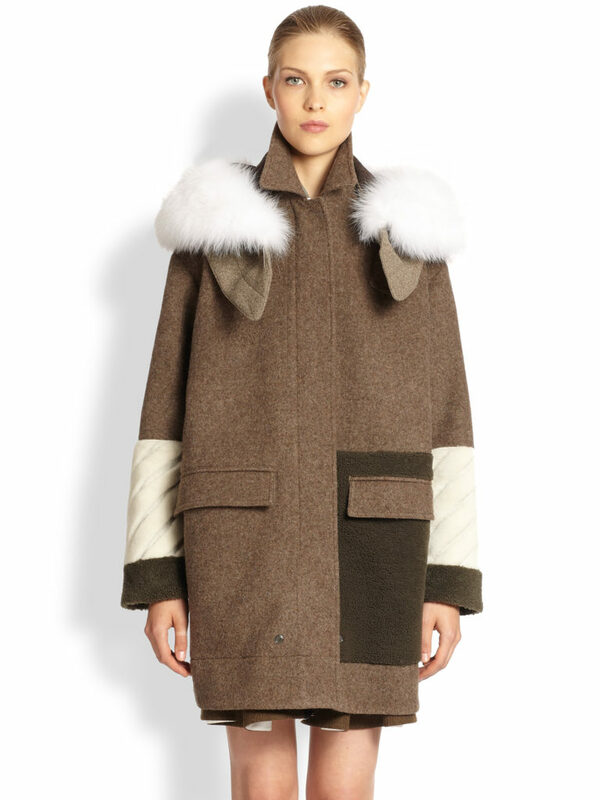 Stay cozy this winter season with the Fendi Fashion Show Overcoat! This quirky jacket shows off the latest fashion of the brand and creates a new daring look. The fur collar is soft to the touch and keeps you warm no matter what the weather is outside. The contrasting details complete your outfit and make you stand out in the best way possible while also showing off what's underneath. The Fendi Midi Dress is a must-have for the spring season! It's a fun, unique dress that will catch everyone's attention. The bright colors and patterns give it a modern, chic look while the soft, high quality material was built to last. Planning a night out? This dress is perfect for any occasion as you can dress up but still remain comfortable through out the day. It even comes with a matching belt! Unfortunately, the USA Fendi online store does not currently offer international shipping. However, Big Apple Buddy, your personal shopper, can help you buy products direct from the official USA Fendi online store and ship them to your doorstep, no matter where you are in the world. We offer international shipping to over 110 countries including Australia, Austria, Azerbaijan, Bahrain, Belgium, British Virgin Islands, Brunei, Bulgaria, Canada, Chile, Costa Rica, Croatia, Czech Republic, Denmark, Estonia, Fiji, Finland, France, French Polynesia, Germany, Gibraltar, Greece, Greenland, Hong Kong, Hungary, Iceland, Indonesia, Ireland, Israel, Italy, Japan, Jordan, Kuwait, Latvia, Liechtenstein, Lithuania, Luxembourg, Macau, Malaysia, Maldives, Malta, Marshall Islands, Mauritius, Monaco, the Netherlands, Netherland Antilles, New Zealand, Norway, Oman, Poland, Qatar, Romania, San Marino, Saudi Arabia, Serbia and Montenegro, Seychelles, Singapore, Slovak Republic, Slovenia, Spain, South Africa, St. Lucia, Sweden, Switzerland, Taiwan, Thailand, the UAE, the UK, Vatican City, and Vietnam. If you would like to buy from the USA Fendi online store, simply let us know which items you would like to order (by filling out the form below) and we’ll get back to you with a free international shipping quote within 24 hours!